PIONEER, CA - It is with much pleasure that I announce my candidacy for Amador County District 3 Supervisor. As I knock on doors to introduce myself, it is invigorating and nearly overwhelming to be supported and encouraged by so many of my neighbors and business owners. I can honestly say that it is the feeling in our communities of District 3 that a new, more responsive voice is needed on the Board of Supervisors. 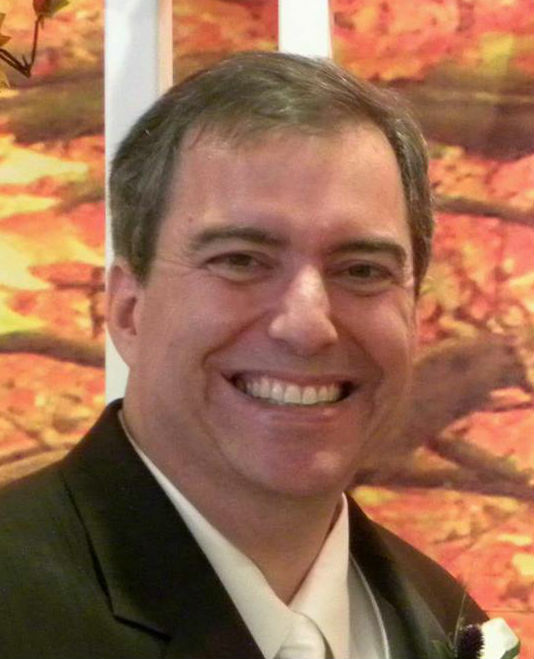 Being a community participant and leader has been instilled in me from my beginning. I joined the Air Force just after high school. I climbed the ranks to Master Sergeant through my 24 years by being the best I could be, gaining all the knowledge I could on subjects so that I could make the right decisions at the right time. I made it my own mission to inspire my team to be the best they can be. I follow these principles as I manage our water resources as President of the Board of First Mace Meadow Water Association (FMMWA) in Pioneer. I will continue to seek ways to keep our water supplies safe and plentiful, without unnecessary restrictions. I am no stranger to wildland fire fighting as I am currently employed by the USDA Forest Service. During fire seasons I am sent out anywhere needed to coordinate the air fields for the tankers, smoke jumpers and other fire personnel on the ground. I will support and promote the growth of our own Fire Departments and prioritize the budget for the resources they need. I will seek new efforts to assist those with dead trees and work with the County, the Forest Service and the Tree Mortality Task Force to focus on mitigating hazard trees and thinning overly dense forests so they are healthier and better able to survive stressors in the future. Please join Jeff Brown in kicking off his campaign on Saturday, February 10th at the Mace Meadows Event Center in Pioneer. 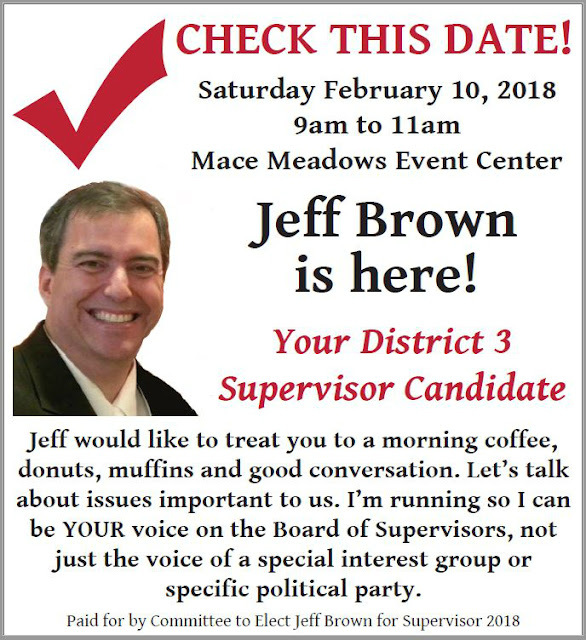 Jeff is treating everyone to Coffee, Donuts and Muffins.Come for coffee, conversation and meet your neighbors as well as your new District 3 Supervisor Candidate. Speak up for the Mokelumne on Thurs Feb 15!